Women have always been a part of STEM. Patriarchy sets up obstacles against women becoming scientists, technicians, engineers, and mathematicians, but women persevere. Some women had to impersonate men or otherwise hide their identity to get their scientific findings published. Women are less likely to receive research dollars from their grant applications. Black women in history have faced more additional barriers to entry into STEM fields than their white counterparts. Women through history have struggled to be liberated, to have their rights recognized, to exercise their own agency. Caroline Herschel was the first woman to be paid for scientific work. Mary Anning found the first complete fossil of a dinosaur. Julia Lermontova was the first woman to get a doctorate in chemistry, which she received in 1874. Alison Harcourt, a mathematician who worked on algorithmic optimization and permutations had to use her initials to sign an academic paper, in the hopes it would be assumed a man wrote it. Mary Henrietta Graham was the first African American woman to receive a degree from U-M, graduating with her bachelor’s degree in philosophy in 1880. Katherine Johnson is an African American woman who used math to calculate the trajectories for the Apollo Space Missions by hand. 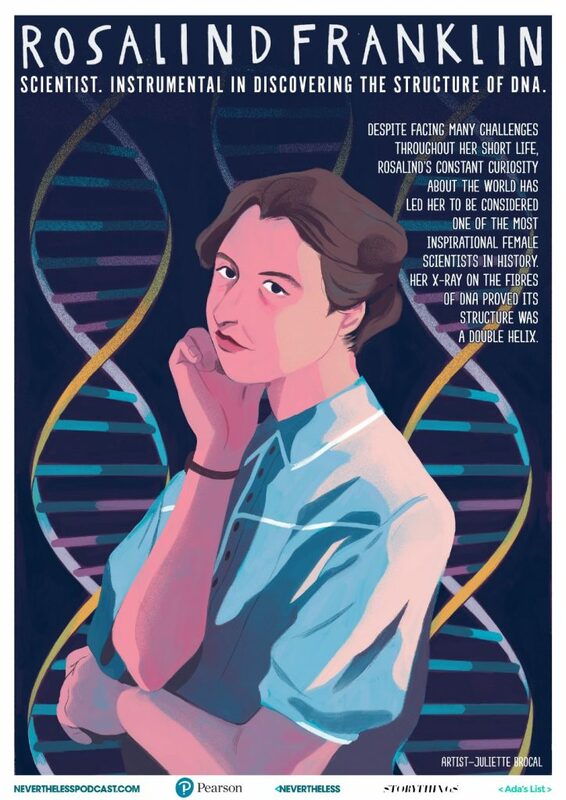 Rosalind Franklin is one of the most well-known women scientists. She helped us understand DNA by imaging it. Because of the work of her team, we now know that DNA takes a double helix shape. Her teammates we awarded Nobel Prizes, but because the Nobel Committee does not give out posthumous prizes, she did not receive one. Not everyone is able to come up with brilliant inventions and formulas to change the world, but these women did. Each day, we benefit from these women’s work. They broke down barriers and hopefully in the future even more barriers will be broken down.